To migrate single / multiple mailboxes, grant access rights to one service account in your Office 365. You can do this by setting impersonation rights to that account. To migrate single / multiple mailboxes, grant access rights to one service account in your Live Exchange. You can do this by setting impersonation rights to that account. a. Grant one service account with impersonation rights and migrate every mailboxes using this account. You need not impersonate all the users. b. Ensure that the impersonated user account has access permission to each associated Mailbox (Users). 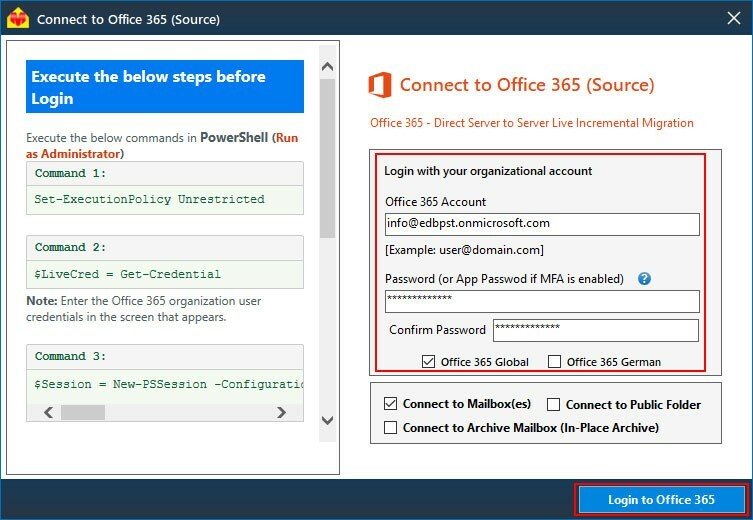 c. For office 365 (source) to Live Exchange (destination) migration, set impersonation rights to one of the service account on both Source and destination servers. b. 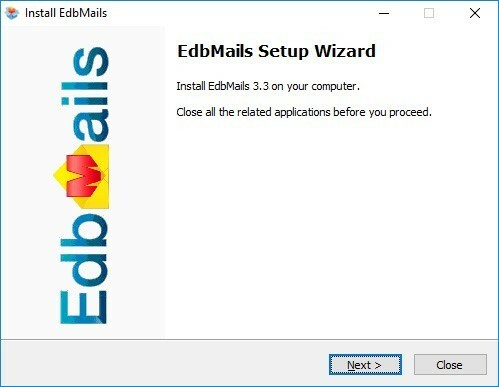 Double click the EdbMails setup (EdbMailsSetup.exe) to start the installation process. c. On the Welcome page, click 'Next >' to proceed. And to complete the installation, follow the instructions that appear on the installation wizard accordingly. Select the Export Method as 'Office 365 Migration' and click 'Continue'. Click here to know how to set the impersonation rights. b. After successful login, verify all the required Office 365 mailboxes are listed and click 'Continue'. c. Select all mailboxes that you wish to migrate. 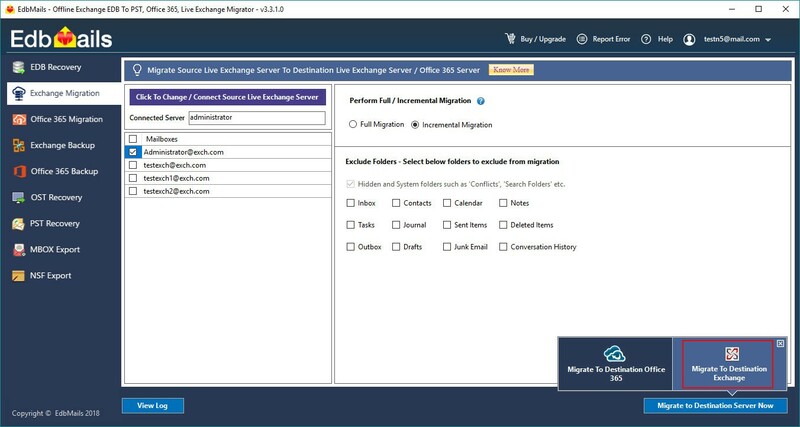 You can also select the folders from the mailboxes that you wish to exclude during the migration, in the right pane .Afterwards, select 'Migrate To Destination Exchange' button. 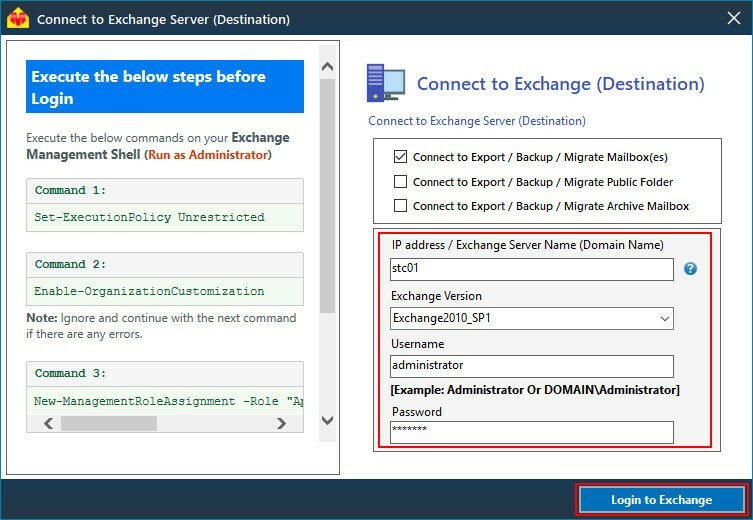 d. Enter the Live Exchange account credentials to connect to Destination Exchange Server and click 'Login to Live Exchange'. Before connecting to Live Exchange server make sure to set the impersonation rights to a Exchange server user. 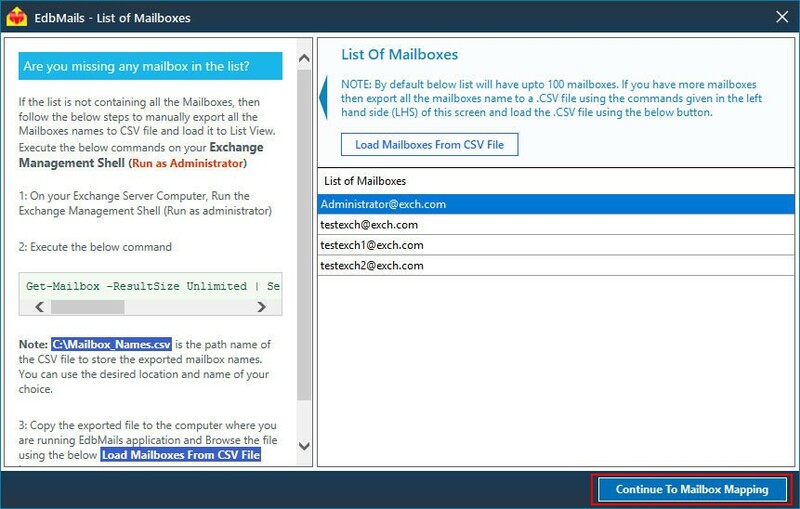 e. After successful login, verify all the required Live Exchange mailboxes are listed and click 'Continue to Mailbox Mapping'. 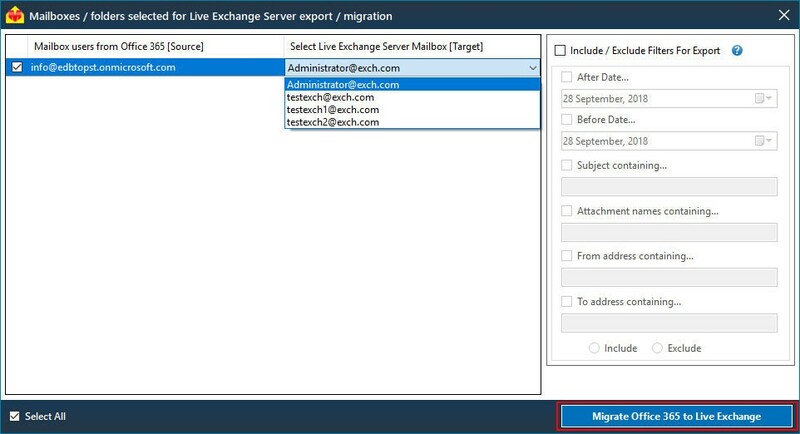 f. Map the source Office 365 mailboxes to requisite target exchange mailboxes and click on 'Migrate Office 365 to Live Exchange'. g. During the migration operation, detailed progress will be displayed as shown in the screenshot below. h. Once the migration operation is completed, the message 'Migration operation has been completed.' will be prompted. PST files and OST files to PST. 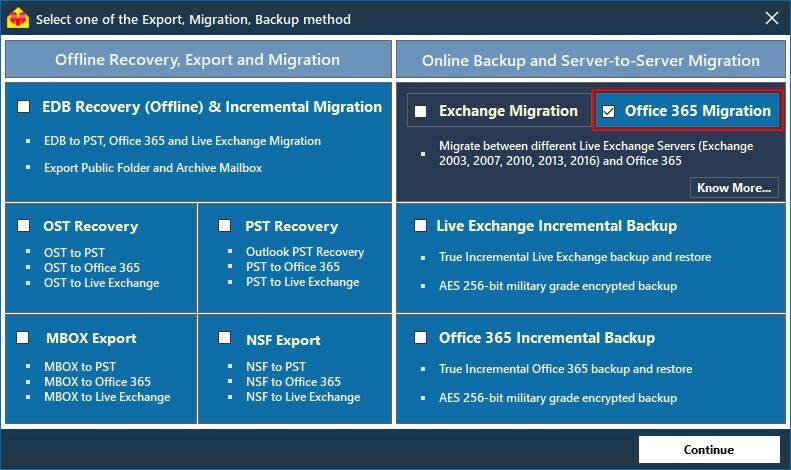 For Office 365 and Live Exchange Migration, choose the suitable plan. it helps them offer a diverse product mix to users, while minimizing the costs. All users aim to get the best combination of products and always aim to achieve value for money. A bundled products can help consumers meet several requirements at a reduced price. Personal Edition is for Personal, Home Business, Government and Educational Institutions. 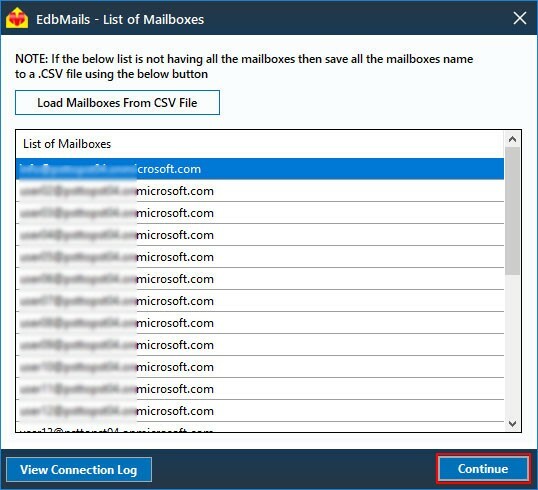 Personal Edition users can uninterruptedly export Exchange Server EDB to Outlook PST. Personal edition can be installed on limited number of computers. Personal Edition comes with complete 24/7 EdbMails Technical support assistance. Personal Edition comes with life time support and upgrade with no additional cost. Corporate Premium is for Corporate, Small and Medium enterprises, Government and Educational Institutions. 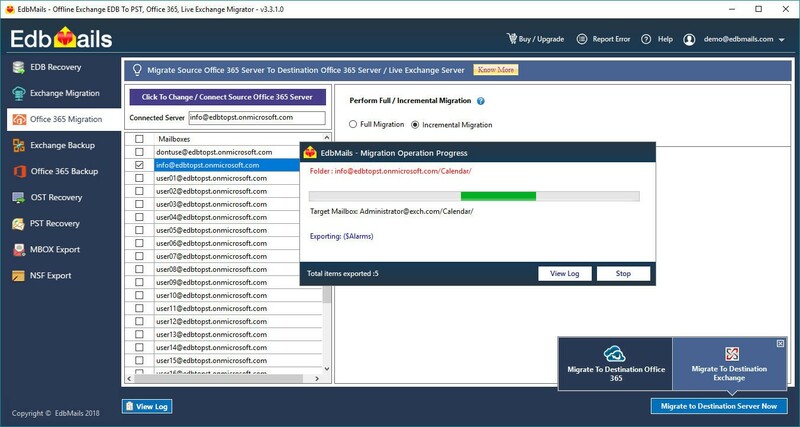 The Corporate Premium is extended version of Personal Edition having support for Exchange Server EDB to Office 365 migration and Exchange Server EDB to Live Exchange Server migration. It has dedicated 24/7 EdbMails Technical support assistance. It has life time support and upgrade with no additional cost. Technical edition is for Data Recovery Companies / Computer Repair and maintenance Firms and it can be used for providing data extraction service to the customers. 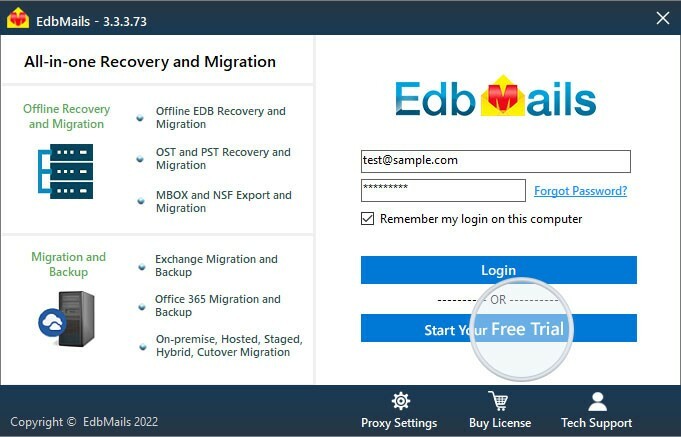 Technical edition users can uninterruptedly export EDB to PST and can perform EDB to Office 365 and EDB to Live Exchange Server migration seamlessly. Technical edition users will not have any restriction on number of computer installation and can install the application on multiple computers. Technical edition comes with complete 24/7 EdbMails Technical support assistance. Personal edition comes with EdbMails Technical support assistance. Corporate Premium users will not have any restriction on number of computer installation and can install the application on multiple computers. Corporate Premium comes with complete 24/7 EdbMails Technical support assistance. Technical edition is for Data Recovery Companies / Computer Repair & maintenance Firms & it can be used for providing data extraction service to the customers. parallel export / migration to save time and to manage any unforeseen events related to computer.